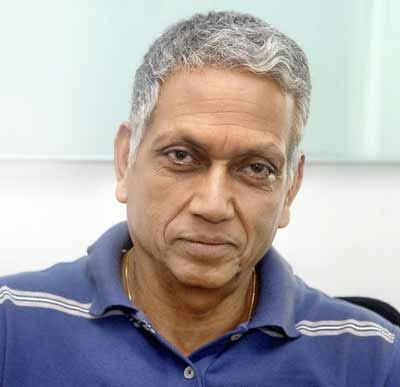 Mohinder Amarnath Bhardwaj pronunciation (born 24 September 1950) is an Indian former cricketer and current cricket analyst. He is commonly known as "Jimmy". He is the son of Lala Amarnath, the first post-independence captain of India. His brother Surinder Amarnath was a Test player. Another brother Rajinder Amarnath is a former first class cricket and current cricket coach. He was the Man of the Series when India won its first World Cup Cricket tournament in England in 1983. Mohinder was seen in the latter part of his career, as the finest Indian batsman against express pace. Mohinder made his debut against Australia at Chennai in December 1969, as a quick-bowling all rounder. At his peak he was a class top order batsman who mainly played at No. 3 for India. He was also handy with the ball, swinging and cutting the ball with great skill and control. He had a unique run-up where he slowed down as he reached the bowling crease. Behind his seemingly lethargic demeanor were nerves of steel. 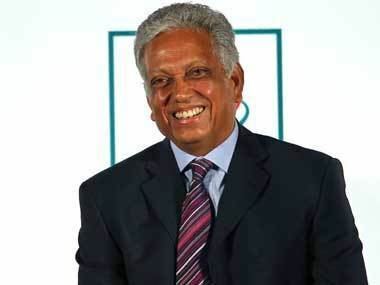 Mohinder Amarnath played 69 Tests scoring 4,378 runs at a batting average of 42.50, with 11 hundreds and 24 fifties, and claimed 32 wickets at a bowling average of 55.68 apiece. In 85 One Day Internationals, he scored 1,924 runs at an average of 30.53 and a highest score of 102 n.o. and claimed 46 wickets at 42.84 apiece. Fiery fast bowlers Imran Khan of Pakistan and Malcolm Marshall of West Indies have praised his batsmanship, courage and ability to endure and master pain. In 1982–83 Mohinder played 11 Test matches against Pakistan (5) and the West Indies (6) and scored over 1000 runs in the two series. In his book "Idols", Indian legend and compatriot Sunil Gavaskar described Mohinder Amarnath as the finest batsman in the world. Mohinder made his first test century at Perth at the WACA (the fastest and bounciest wicket in the world) batting against Jeff Thomson at his fastest. He followed this test century with another 10 more against top class fast bowling. Imran Khan regarded Mohinder so highly that in his book "All Round View" he went on record to say that in the 1982–83 season, Mohinder was quite simply the best batsman in the world. Imran further went on to state that Mohinder should have played non-stop for India right from his debut in 1969 to the time he retired. ( After his debut series in 1969, he had to wait until 1975 to make it into the team). This series saw Imran Khan at his lethal best, supported by the canny Sarfraz Nawaz. In match after match India crumbled against the fiery pace of Pakistan, losing the Second, third and fourth tests 3–0 . Imran Khan who took 40 wickets in the series was jointly awarded "Man of the Series" with Mohinder Amarnath. The catastrophic series for India hastened the end of the career of master batsman Gundappa Viswanath. 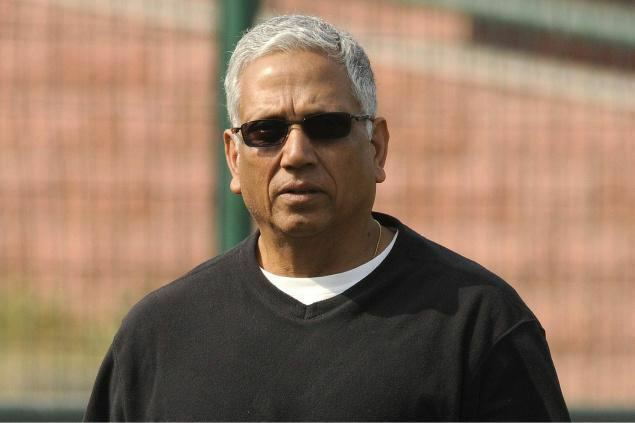 Mohinder Amarnath was the sole saving grace for the Indian batting line-up for the series as a whole. (An aside – Sunil Gavaskar carried his bat in one innings of the series). 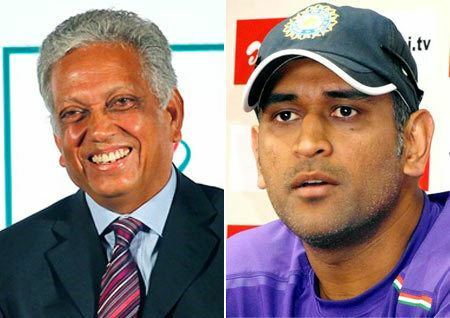 Mohinder Amarnath is best known for his legendary performance in the 1983 Cricket World Cup. He was awarded "Man of the Match" in the finals and semi-finals, playing a star role in leading India to their first ever One Day International title and first World Cup win. As a result of his splendid performance in the World Cup, he was awarded the "Man of the series" award as well. In the semi-finals against England his accurate seam bowling fetched him the top-order wickets of David Gower and Mike Gatting. He gave away only 27 runs in his 12 overs, for an average of a miserly 2.25 an over, the lowest among all Indian bowlers. Returning to bat, he scored 46 runs to give India a solid foundation. He was named the Man of the Match. In the finals, India batted first against the West Indies which arguably boasted the world's best bowling attack comprising Malcolm Marshall, Michael Holding, Andy Roberts and Joel Garner. India did not fare well, with the entire team being dismissed for a paltry score of 183 in 54.4 overs, well short of the allotted 60 overs. Amarnath's calm and composed batting against West Indian fast bowling gave the Indian innings some much needed stability. He occupied the crease for the longest period (80 balls) and scored 26 runs. Though normally in limited over matches a long stint at the crease in not necessarily a good thing, given that India did not last the entire 60 overs Amarnath's innings gave the batsmen at the other end the opportunity to score. Krishnamachari Srikkanth top-scored with 38 runs, followed by Sandeep Patil (27 runs). After the poor batting performance India's chances were deemed almost non-existent. However, the Indian bowling exploited the weather and pitch conditions, conducive for swing bowling perfectly to bowl out the West Indies for just 140, thus winning the finals by 43 runs. Amarnath and Madan Lal were the joint highest wicket takers with 3 wickets each. As he had been in the semi-finals, Amarnath was once again the most economical bowler, conceding only 12 runs in his 7 overs for an average of 1.71 per over. Again, just like the semi-finals, Amarnath was declared the Man of the Match. Amarnath also had the distinction of bagging the match winning wicket. As the vice-captain of the team, he held the World Cup aloft in a famous photograph along with his captain and good friend, Indian cricketing legend Kapil Dev. Except for the period 1982–83, Mohinder never held a steady place in the Indian Test side and would frequently get dropped. Mohinder is known as the come back man of Indian cricket. During his two decades at the top, he was dropped from the Indian side on several occasions and each time he fought his way back with sterling performances, playing excellent domestic cricket and making it hard for the national selectors to ignore him. He was well known for his batting technique, temperament and skill. He even experimented with a side-on batting stance, where one foot was placed at an angle to the crease, giving the body had a more open stance with a better view of the bowler. Amarnath was noted for his personality, courage and determination. West Indian cricketing great Vivian Richards called him "one of the nicest men to have ever played the game" and former Australian Test opening batsman David Boon said "Concede didn't seem to be in his vocabulary" . In the Bridgetown Test during India's tour of the West Indies in 1982–83, Amarnath had to retire for stitches after being hit on the head. On returning to the game, he faced one of history's most lethal fast bowlers Michael Holding. It was a given that Holding would try to intimidate Amarnath by bowling a bouncer, and indeed he did so. While most would expect that a batsman in such a situation would do the prudent thing and duck, instead Amarnath stood his ground and hooked the ball to the boundary. However the West Indies bowling attack comprising Malcolm Marshall at his best, Michael Holding, Winston Davis and Wayne Daniel would wreak their most lethal vengeance upon Amarnath during their 1983/84 tour of India by restricting him to only 1 run in six innings, during which Holding scalped Amarnath three times for a duck. Amarnath had scores of 0,0,0,1,0,0 and was hence dropped just months after his career-high success at the 1983 World Cup. Amarnath was noted for his conflicts with the Indian cricketing political establishment, famously having called the selectors a "bunch of jokers" . This often resulted in his exclusion from the Indian team also. Mohinder had some unique dismissals. He is also the one and only Indian who has been dismissed on handling the ball. He was dismissed on 9 February 1986 also making him the first one to be dismissed for handling the ball in One-Day Internationals. He is also the only Indian to be dismissed for obstructing the field in One-Day Internationals. He has also been dismissed 'hit wicket'. He is the only International Cricketer in the world to be given out both for handling the ball and obstructing the field in his career. He displayed the unique superstition of carrying a red handkerchief visibly in his trouser pocket while batting. Mohinder Amarnath presented a popular weekly cricket coaching TV programme in the late 80s/early 90s. The program went by the name of 'Cricket with Mohinder Amarnath'. It featured technique presentation and discussion with guest speakers who were mostly Indian national team members at the time. It had a decent following among the youth of that time who were hooked to Cricket especially after Reliance Cup was held in India in 1987, given that the program was available on the national channel Doordarshan thus taking cricket to the masses. The title song of this program 'Khel hi hain hamara jeevan...' was very catchy. Young Sachin Tendulkar, a 15 years old, was interviewed by Amarnath for the program. Sachin was playing wonderfully in the domestic leagues, and was showing enormous potential. After a year, he was inducted into the Indian team for the Pakistan tour.